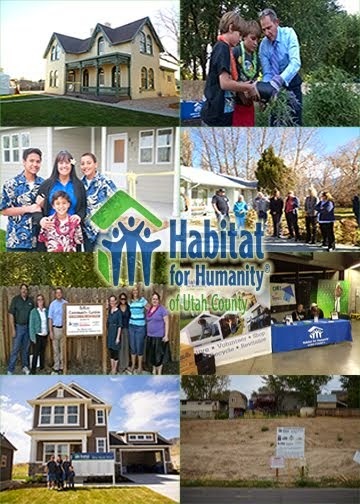 Habitat for Humanity of Utah County: GRAZIE! HABITAT HONORS SUPPORTERS AND VOLUNTEERS AT DINNER EVENT! GRAZIE! HABITAT HONORS SUPPORTERS AND VOLUNTEERS AT DINNER EVENT! ReStore Donor of the Year: DCWV Inc.
Special thanks to LeAnn Hillam, Nancy Mickiewicz, Mark Willams and the Manor at Riverwoods, Hyrum Knapp and Custom Catering, Wilkinson Trophy, Erika Eddington and Keith Lewis for making the evening a success.